Montreal extreme metallers CRYPTOPSY will release their new EP, "The Book Of Suffering Tome 1", on October 30. The disc was produced by Chris Donaldson at The Grid studio in Montreal, mixed by Jason Suecof at Audiohammer Studio and mastered by Alan Douches at West West Side Music. It has been three years since CRYPTOPSY's last release and many fans have expressed their eagerness to hear new material. This time, rather than a full album, CRYPTOPSY will release a series of EPs titled "The Book Of Suffering". This new approach will allow CRYPTOPSY to put out new music more often while remaining true to their standards of quality. As of September 25, "The Book Of Suffering Tome 1" will be available to pre-order via CRYPTOPSY's Bandcamp page as well as on iTunes. Upon pre-order, fans will receive the exclusive single from the EP, "Detritus (The One They Kept)". 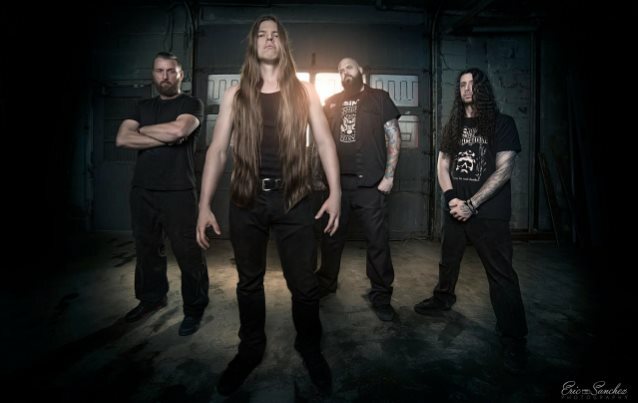 CRYPTOPSY will also premiere the video for "Detritus" on September 25. The clip was produced by Chris Kells from Front To Back Video Production. CRYPTOPSY states: "We are extremely proud of the new material; it is some of the most brutal, dark and technical music we have ever created." 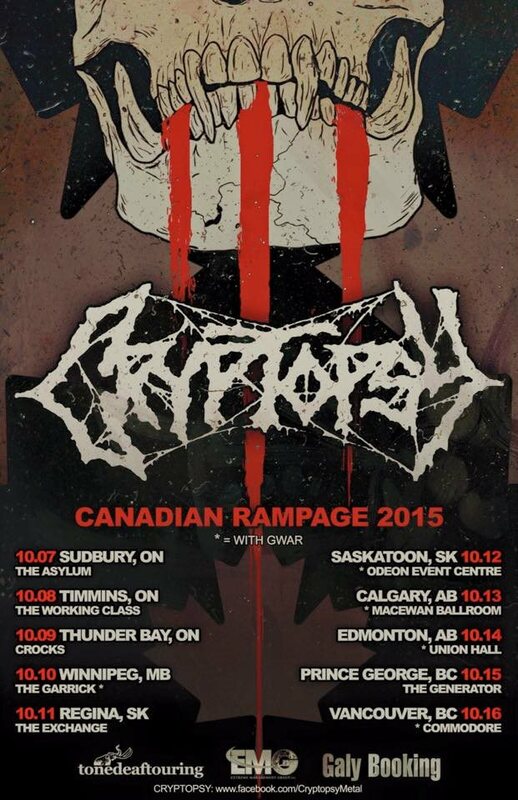 CRYPTOPSY will take part in the "Canadian Rampage" tour in from October 7 to October 16.